Firstly, it has institutionalized and consolidated the regime change put in place by the controversial 2017 referendum. The Turkish political system has successfully transitioned from a parliamentary to an executive presidential one. Secondly, Recep Tayyip Erdogan, the incumbent president and leader of the ruling Justice and Development Party (AKP), has come out even stronger with new powers, which are likely to bolster his authoritarian tendencies. 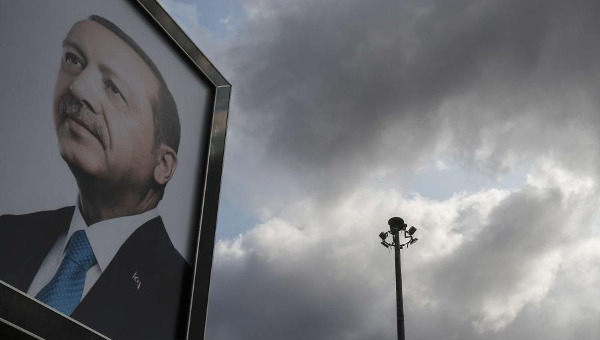 Thirdly, Erdogan’s presidency and the victory of the coalition of the AKP and the MHP (Nationalist Movement Party), the most prominent fascist actor in Turkish politics, should and will revive a debate on states of exception in general, and fascism, in particular. Last, but not the least, the failure of a reinvigorated opposition to dethrone Erdogan and a likely more authoritarian – or worse – fascist future have exposed the necessity for a different kind of politics on the left. It is imperative for the Turkish left to produce an alternative and inclusive socio-political project that challenges the pillars of the current regime, i.e., crony neoliberalism, increasing authoritarianism, chauvinistic nationalism and social conservatism. Such a project cannot be confined to electoral politics only and requires organizing and resistance in various forms and spaces that are outside those dominated by the ruling bloc. It also requires the inclusion – if not leadership – of the Kurdish movement, which has emerged as the most organized and the only mass political actor able to challenge the dominant structures of oppression in Turkey and beyond. The AKP was founded in 2001 as a coalition of mostly conservative groups and individuals, and constituted the last representative of a series of legal Islamic parties since the 1970s. The main constituent elements of the party were twofold: the Fethullah Gulen community and a group around the future prime minister and president, Tayyip Erdogan, who had broken away from the Milli Görüş (National Vision) movement and its last political party, i.e. Fazilet Partisi (the Virtue Party), that was shut down in 2001 by the Constitutional Court. These two groups converged on a neoliberal, socially conservative and majoritarian project. This was the marriage of a relatively ‘liberal’ version of Islam with neoliberalism, and this combination made the AKP quite popular on the global stage. The party’s popularity was mostly thanks to its two achievements: (1) It was able to defeat the old secularist guard, which was seen as increasingly unreliable by the West; and (2) it marginalized the radical Islamic groups while sustaining the Western-Turkish alliance in the Middle East. The AKP was viewed by many as an antidote to the revolutionary Islam of Iran and violent Sunni movements/organizations. The party came to power following the financial crisis of 2001 and only one-and-a-half years after it was founded. Its initial electoral base was composed of those who were demoralized and impoverished by two decades of brutal neoliberalism, corruption, economic crises, instability and rigid secularism. In terms of its relationship with capital and capital fractions, the party’s initial base was the internationalizing medium-sized capital groups located mainly in Anatolia. As soon as it came to power, the AKP also won the support of big domestic (mostly Istanbul based) and foreign capital through its refusal to deviate from the neoliberal trend set earlier and by its willingness to strengthen the integration of the Turkish economy into global markets. Since 2011, which more or less marks the beginning of the authoritarian turn in the country, there has been tension at times between big capital and its organization, TUSIAD (Turkish Industry and Business Association), on the one hand and the AKP, on the other. The main causes of the tension have been twofold: concerns about secularism and increasing authoritarianism, and the deteriorating and unstable relations with the EU, into which Turkish capital has firmly integrated. Despite the ongoing tension, one of the major outcomes of the 16-year old AKP rule has been the creation of conditions most conducive to capital accumulation at the expense of the labouring masses in the country. The current state of emergency, too, has a strong class character, which has empowered capital vis-à-vis labour. The AKP came to power for the first time with a sweeping victory in 2002. Despite getting only 34.3 per cent of the popular vote, the party captured 327 of the 550 seats in parliament thanks to the extremely high threshold of 10 per cent. In the 2007 and 2011 elections, the AKP increased its popular support, acquiring 46.7 and 49.8 per cent of the votes respectively. The drop to 40.8 per cent in the June 2015 election was remedied in the November 2015 election after the AKP ended the peace process and resumed its war with the Kurds. The reversion to the nationalist discourse and militaristic policies were rewarded by the electorate with an almost 9 per cent increase in the polls. The most recent election marks a drop in the support for the AKP but the party was still able to garner the majority as a result of its alliance with the fascist MHP. Although the most recent elections were originally due on 3 November 2019, early elections were called on 18 April 2018 by Recep Tayyip Erdogan, who was getting anxious to institutionalize and consolidate the regime change put in place by the 2017 referendum. The controversial referendum, which succeeded with only 51.41 per cent of the popular vote, endorsed a number of constitutional changes, which abolished the then existing parliamentary system of government and strengthened the position of the president, who used to be a rather symbolic figure for most of the republican era. The president was given powers that included, among others, directly appointing ministers and vice-presidents, imposing a state of emergency, and increased control over the appointments to the Supreme Board of Judges and Prosecutors (HSYK). These changes were criticized by both the domestic opposition and international observers for removing some of the critical checks and balances in the Turkish political system and concentrating power in the hands of the president. The June 24th elections were thus a rushed and pre-emptive effort by Erdogan to consolidate this regime change and secure his power while denying the opposition an opportunity to organize and rally support. Due to widespread corruption involving himself and his inner circle as well as the heavy toll of his authoritarian rule on tens of thousands of people, loss of power is not an option for Erdogan. Becoming stripped of his current immunity would mean years of prison for the Turkish president and his cronies. There were two important developments on the part of the opposition in this short period. The first was the foundation of a new party Iyi Parti (Good Party), by those who broke away mostly from the fascist MHP due to the latter’s alliance with Erdogan’s AKP. The second was the candidacy of Muharrem Ince, an MP from the Kemalist, social democratic CHP (Republican People’s Party). Ince’s charismatic personality and campaign came as a surprise to the ruling party, as Ince pushed Erdogan onto the defensive for the first time in sixteen years while gathering large crowds across the country (the one in Istanbul was possibly the largest rally in Turkish history). Despite his subscription to Kemalist nationalism and coalition with nationalists (i.e. Iyi Parti), his rather inclusive discourse and attitude toward Kurds made the latter more receptive to his message and led many Kurds to vote strategically for him in the presidential election instead of for Selahattin Demirtas, the pro-Kurdish HDP’s (People’s Democratic Party) candidate. Ince’s campaign rejuvenated a dormant and hopeless opposition, which brought together different segments of Turkish society. Although he failed to offer a clear and coherent alternative social project, Ince’s clean record, communication skills, and criticism of the AKP’s corruption, crony neoliberalism, religious conservatism and increasing authoritarianism made him a beacon of hope for a significant part of the population. Various colours of the left, too, threw their support behind Ince despite serious reservations about his religious references and nationalism; he was seen as the lesser evil versus a power-hungry warmonger. The results, however, were quite disappointing. Under a state of emergency and amidst serious allegations of fraud and voter intimidation, the AKP-MHP coalition captured 53.66 per cent of the popular vote and 344 out of 600 seats in parliament. The Nation Alliance, led by the CHP, on the other hand, received 33.94 per cent of the vote with only 189 seats. The HDP managed to pass the undemocratic 10 per cent threshold and increased its vote to 11.7 per cent. The HDP’s entrance into parliament played the key role in preventing an AKP majority, which rallied some Turks – mostly on the left – behind the party. As regards the presidential vote, Erdogan won it comfortably in the first round frustrating all expectations that there would be a second round. There are still conspiracy theories and some controversy regarding the vote-counting process and its aftermath. The former include alleged threatening of the rival candidates by the AKP-controlled state, which led them to concede victory to Erdogan prematurely and disappearing from the public eye for hours, which demoralized and demobilized the opposition. Notwithstanding these yet unknowns, what is clear is that Erdogan has secured his position as the most powerful political figure in post-war Turkey with even more constitutional powers and a tighter grip over the Turkish state and society. Although his victory is not complete, as the AKP will need the support of the fascist MHP in parliament for a majority, the latter’s almost unconditional recent support and the increased powers of the president point to a more authoritarian future for the country. The dependence of the AKP on the MHP for a parliamentary majority will also likely sustain the nationalist and militaristic approach to the Kurdish issue (and foreign policy in general) and prolong the devastating war between the Turkish state and Kurdish guerillas. It will also strain relations with Turkey’s neighbours, who are already quite critical of the aggressive so-called neo-Ottoman turn in Turkish foreign policy in recent years. The current political and social situation in Turkey calls for a rigorous debate on the new regime and the corresponding state-form that has been in the making for some time. This task becomes even more urgent in the face of a looming economic crisis that will likely lead to tremendous social and economic dislocation, paving the way for even more authoritarian and repressive responses from the state and Erdogan at its helm. An accurate analysis of the ongoing restructuring and the emergent regime are critical, as it will inform the type(s) of resistance by the progressive forces in the country. What is worrisome is that the regime and the state-form in Turkey display features characteristic of fascism. This does not mean that Turkey is a fascist state at the moment. Nevertheless some of the features of fascism are in place currently and the rise of a truly fascist regime and state is a possibility in the near future. Fascism, as a modern phenomenon, has been discussed in the literature mostly as an exceptional regime confined to the inter-war period; that is, a one-time only deviation in the development of capitalist states and regimes. This is an erroneous conceptualization and study of fascism. Rather than being a deviation and buried in the ashes of a bygone era, fascism should be studied as a regime whose seeds are present in capitalist social relations and their contradictory nature. It corresponds to a response to a specific political crisis under capitalism and is an outcome of specific class/social relations. At the same time, as opposed to some left analyses, there is no automatic/mechanical relationship between the liberal democratic state and its crisis on the one hand, and the rise of fascism, on the other. a leadership cult created around the leader, i.e. Erdogan. To these, we need to add two more features which should be emphasized as arguably the most salient and distinctive features of fascism: chauvinistic nationalism/racism and (attempts at) mass social mobilization aiming at reshaping society in accordance with a particular worldview. This worldview or ideology in the current Turkish context has taken the form of the Turkish-Islamic synthesis, which has its roots in the junta of the early 1980s. With fascism – or if not fascism, a nevertheless very repressive regime – looming on the horizon, the critical question for the left is that of resistance. Only a few days after the elections, the incumbent minister of the interior has given the first signals of what is awaiting Turkey in the upcoming months. He has already threatened the leaders of the pro-Kurdish party, HDP, with death and given orders to keep members of the main opposition party, the CHP, from funerals of the military personnel killed in the war against Kurdish militants, which insinuates an association between the CHP and so-called ‘terrorism’ – a common form of ‘othering’ by the AKP of the opposition since the end of the peace process in 2015 and during the most recent electoral campaign. Under these circumstances, it is imperative that the left, ranging from the reformist social democrats to the communists, form a united front around an alternative social project which has the potential to bring together the broad segments of the population that have been hurt by the AKP’s rule. an end to neoliberal restructuring and policies in favour of a more equitable redistribution of wealth. Resistance based on such a political project cannot and should not be confined to electoral politics only. It should combine electoral politics with long-term grassroots politics involving creating solidarity networks and alternative spaces to the ones controlled by the regime. There are millions of young people in the country who have never lived under a different government and are thus unable to imagine a society beyond the one created by the AKP. The new left politics requires a long-term and patient approach to build the structures through which a new, progressive social imaginary can emerge and ultimately by which state power can be claimed. This process must also include the Kurdish movement that has risen in the past decade in particular as the most organized and progressive force in the Middle East. The HDP under the leadership of the currently imprisoned Selahattin Demirtas has made a genuine bid to embrace all ethnicities and the labouring classes in Turkey, and voice their concerns and desires within a left program. This should be taken seriously by skeptical Turks, who have not been able to break free from the nationalist propaganda with colonial undertones. The most recent elections has made it clear that the natural ally of the Turkish social democrats under the current circumstances is the Kurdish left, not the ultra-nationalists nor the dissident Islamic conservatives they entered into an electoral alliance with. The elections further empowered the AKP and its leader Erdogan despite a drop in the party’s popular vote. It also opened the way for the ruling party to strengthen and extend its grip over the Turkish state and society. In the face of deepening divisions exacerbated by the exclusionary politics of the AKP and an approaching economic crisis, it is quite likely that the authoritarian tendencies already inherent in the ruling-bloc will grow stronger. The June 24th elections have led to tremendous (and rightful) frustration and disappointment among the progressive forces in the country. However, with fascism hovering above like the sword of Damocles, there is no time for grief nor hopelessness. It is time for a new politics that overcomes sectarianism and challenges the pillars of the current regime in favour of all the labouring and marginalized segments of Turkish society. While our intellect may fall into pessimism, the past struggles of the honest and brave people of Turkey (and Kurdistan) should keep our optimism alive. Baris Karaagac teaches international political economy and economic development at Trent University and researches European social democracy, state theory, and Turkish political economy. He is the editor of Accumulations, Crises, Struggles: Capital and Labour in Contemporary Capitalism (2013). “Erdoğan’dan itiraf: OHAL’den istifade ederek grevlere anında müdahale ediyoruz,” Cumhuriyet, 12 July 2017. Accessed on 28 June 2018. A speech by Erdogan from 11 July 2017 is noteworthy. At a meeting with foreign investors, Erdogan identified investors, entrepreneurs and international capital as the main pillars of development. He further stated: “When we came to power there was a state of emergency in Turkey but all factories were under the threat of strikes. Remember those days. But now we intervene wherever there is the threat of a strike by virtue of the state of emergency” (Cumhuriyet, 12 July 2018).